Near net zero. Transformations Inc., based in Townsend, Massachusetts, is one of four team leaders in the MassDevelopment competition. The company also built this 1,232-sq.-ft. three-bedroom (shown as a rendering and just after completion) as its entry in an energy efficiency pilot program called Zero Energy Challenge. The house ranked second among five entries. The op-ed sections of most newspapers and online news sources have lately (and justifiably) been heavy with perspectives on health care reform and U.S. military commitments. But there also has been a steady undercurrent of commentary about conservation imperatives, renewable energy, sustainability, and opportunities in a green economy. One op-ed piece that caught our attention, “Home Green Home,” was published on Thursday by the Boston Globe. Written by Robert Culver, president and CEO of MassDevelopment, Massachusetts’ finance and development authority, the piece essentially highlighted the principal elements, and potential long-term economic benefits, of a competition announced last month in which four builder/developers are competing for the right to build moderately priced single-family and multifamily net-zero-energy homes on two sites in the town of Devens, about 35 miles northwest of Boston. The development teams have been asked to submit site plans, schematic designs, and financial information as part of their project proposals. Sometime in January, MassDevelopment will announce the two winning teams, which are expected to buy the land for their respective projects. The agency estimates that the smaller of the two parcels – about 26,000 sq. ft. – will accommodate as many as 12 multifamily units, while a 3.42-acre parcel will support eight single-family lots. Prices on the single-family homes are expected to range from $225,000 to $350,000. Massachusetts is no stranger to energy conservation initiatives. Back in March, its office of Energy and Environmental Affairs announced that two state buildings would be constructed to energy efficiency standards outlined in a report prepared by the Zero Net Energy Buildings Task Force, a group of experts convened by Governor Deval Patrick. Relevant to residential construction, the Massachusetts Board of Building Regulations and Standards on May 12 approved an amendment to the statewide building code that allows municipalities to adopt stricter code requirements – more commonly known as “stretch” code – for both residential and commercial buildings. Massachusetts law doesn’t allow municipalities to diverge from the state code, so approval of the stretch code was intended to add a greener option to the state’s minimum energy efficiency requirements, assuming city officials can generate enough support locally to adopt it. The four teams competing for a chance to build in Deven were selected from nine contenders that responded to a call for proposals in April. They are Evergreen Village Collaborative of Lexington, The Lane Companies of Framingham, Metric Construction Corporation of Boston, and Transformations Inc. of Townsend. Transformations, in fact, has already competed in an energy efficiency construction competition, the Zero Energy Challenge, which was sponsored by the state’s investor-owned electric utilities – National Grid, NSTAR, Unitil, and Western Mass Electric Company. The Challenge featured five Massachusetts builders whose mandate was to construct ultra-efficient market-rate and affordable homes. 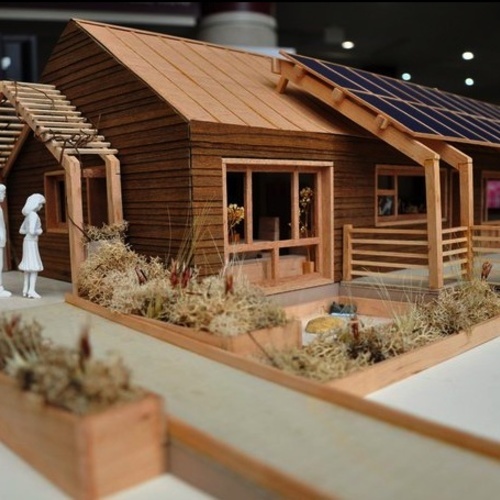 The Zero Energy Challenge results were announced at the end of June, and Transformations took second place. 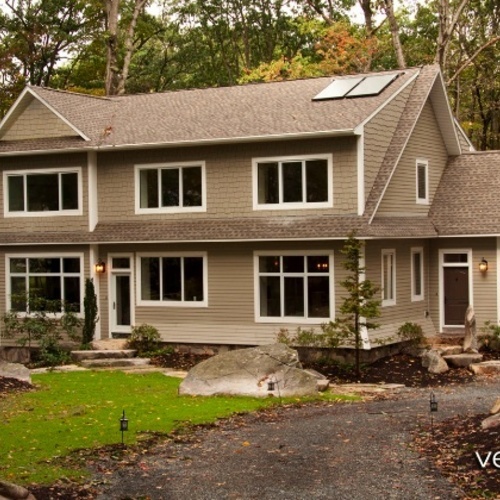 The company’s owner, R. Carter Scott, worked with a price cap of $195,000 to construct a 1,232-sq.-ft. three-bedroom home in Townsend that includes R-42 walls, R-64 ceilings, triple-pane windows, and a 5.7 kW PV system. The house earned a HERS Index score of –2.30. 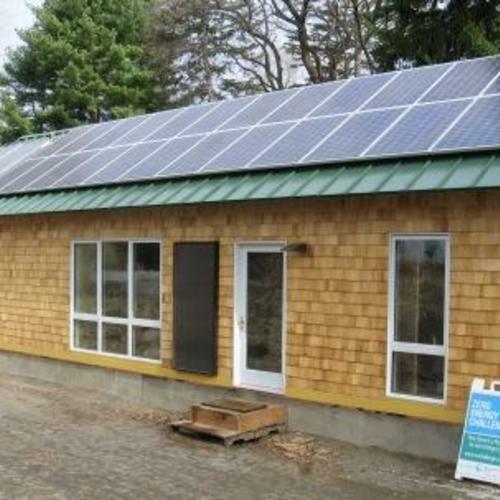 An energy-efficiency pilot program called Zero Energy Challenge, in which five Massachusetts builders competed to construct ultra-efficient market-rate and affordable homes, this week announced the Challenge winner.